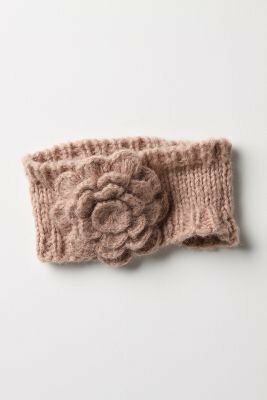 If you missed out on her adorable headband last winter, Anthropologie brought it back this year (although not available in cream). You can purchase it for $24 by clicking on the photo below (available in pink - shown below, neutral - which is a tan color, and navy). 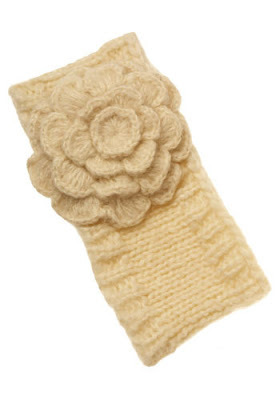 *Update - 10/28/09* - I just found this basically identical headband in the cream color at Mod Cloth. If you'd like to purchase it for $27.99 you can click here to do so. *Update - 8/26/10* - This post is from way back in '09 so the ModCloth and Anthropologie versions are no longer available. If you're still interested in getting a similar headband for less, Forever 21 just posted a great lookalike on their website. This headband retails for $4.80 and you can click on the photo below if you're interested in purchasing. It's also available in pink, teal, or cream. Gigi - Me too! I'm tempted to get one for myself! I so think I need one of these... or 2!